Future Shock 2.0 has been designed to give riders supreme comfort that makes every road great! The Pro peloton wants the best, the fastest, the smoothest. The Roubaix Pro is designed to give the Pro's what they desire for arguably the toughest spring classic ride there is, the Paris Roubaix. 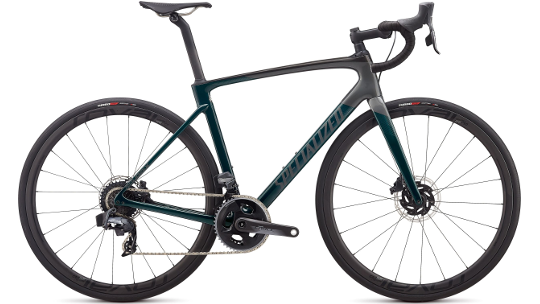 Specialized has taken the Roubaix back to the drawing board and starting with frame design they have discovered how they can provide compliance without compromise. Re-engineered tube shapes in the 6x Paris Roubaix winning "Win-Tunnel" has resulted in a frame that is as aerodynamic as the Tarmac SL6. The new design now also offers space to fit up to 33mm tyres for greater traction on the most challenging surfaces. 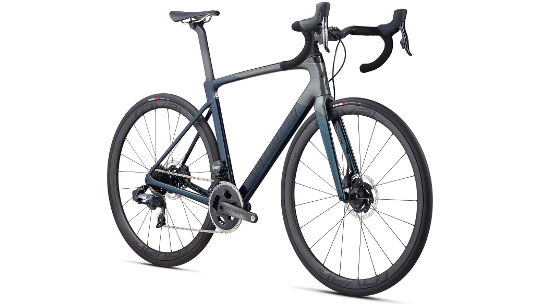 Specialized's Pavé seatpost takes the D-shape design from the Tarmac and betters it by adding more flex to the upper section, resulting in a more balanced, smoother ride. Finally, the updated Future Shock 2.0 suspension system has been designed so you can control the available compression via your stem. This results in less fatigue for both the rider and the bike, as well as a smoother ride, so you can go faster for longer. Specialized's wealth of experience in aerodynamic road bikes has been used to benefit the new Roubaix Pro. Thanks to a re-engineered tube shape design the frame has been proven to be as aerodynamically fast as the current Tarmac SL6. 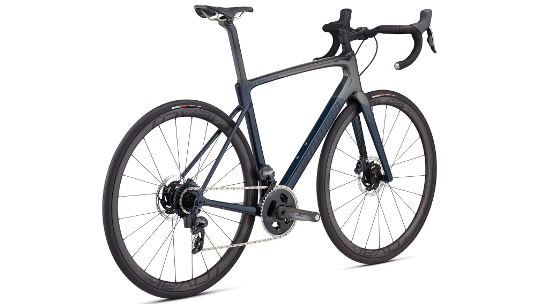 Specialized has ensured that each sized bike benefits from the same weight advantages and ride quality through their Rider-First Engineered™ design that optimises stiffness from 44cm frame size to 61cm. Because of this new tube shape, you can now also fit up to a 33mm tyre both back and front. Specialized's fantastic and brand-new Pavé seatpost has taken the D-shape design from the Tarmac and added more flexibility into the upper section where the saddle meets the seatpost. This means that you gain a smoother, more balanced and controlled feel no matter how challenging the surface is below you. The best cyclists in the world are always demanding a bike that delivers a smoother and more controlled ride, even on routes as challenging as the Paris-Roubaix. Specialized's updated Future Shock 2.0 suspension system has impressed even those racing in the spring classic. The control begins via a knob placed on top of the stem, using this knob you can adjust the amount of compression from fully open to completely firm. As a result, you can expect less road fatigue on both you and the bike and smoother overall riding experience.